Jingle bells, jingle bells, jingle all the way… Do you hum the tune of a song as well? Everybody and everything has got into the Christmas mood! 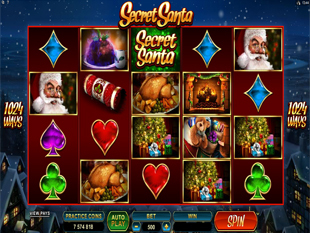 So does Microgaming group that hastens Xmas in no download format with Secret Santa Slots Machine. 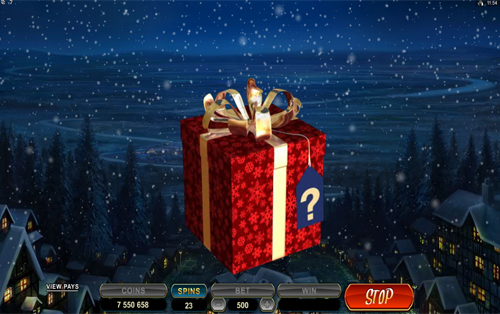 Hurry up to try the new game and unwrap valuable gifts awarded straight away without waiting for the holiday! Secret Santa Logo can decorate any winning combo inasmuch as it’s a wild symbol. Thus, the Logo is a profitable Christmas tree decoration that can replace any other symbol on the reels. So that, be ready, because coin avalanche is guaranteed! To make your free day a true Xmas party you need one more thing. Cracker that is a scatter symbol can burst with cash wins without creating combos. Yeah! So, use 3, 4 or 5 scatter Crackers to get a true firework of 2x, 10x or 100x Multiplier accordingly! Were you naughty? Don’t be upset, because you can fix it with the real money stake. Yep 😉 Just set using such coins as $0.01, $0.02 and $0.05 for your bet. But everyone knows that only the nicest ones get biggest gifts. 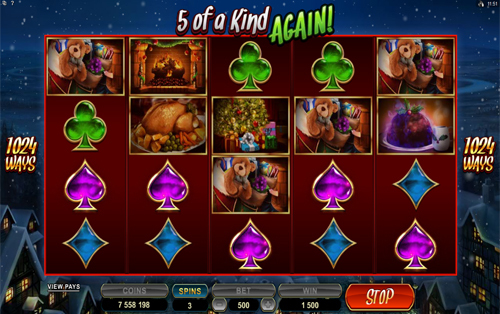 In such a way you need to boost your stake to the maximum and place 500 coins per spin. Moreover, the highest bet of $25 gives you inimitable chance not only make amends for your naughtiness, but also win the top jackpot of 8,000 coins! So, venture and catch 5 Santa on the adjacent festive reels to seize the ultimate prize of $400. The naughtiest gamblers, who don’t expect cash gifts from Santa and crave for summer vacation, can try their luck playing Spring Break or Big Break slots. What gift you are craving for most of all? 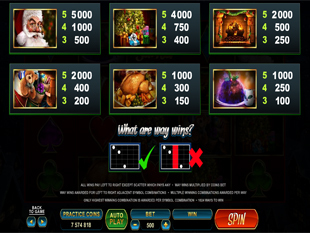 Try all of them and win mind-bowling 2,300,000 coins or $115,000 prize!